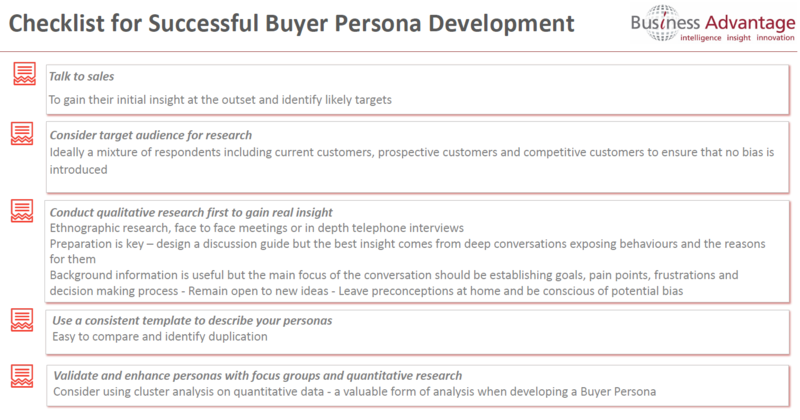 The full details are in the previous posts of this series but the following two tables conveniently summarize the Buyer Persona development process with a tabulated Buyer Persona Checklist and table of the most common mistakes users initially make when developing personas. They don’t replace the detail of this post series but are useful aide-memoirs to ensure you follow the process and avoid at least some of the potential mistakes. You can save and print the images. 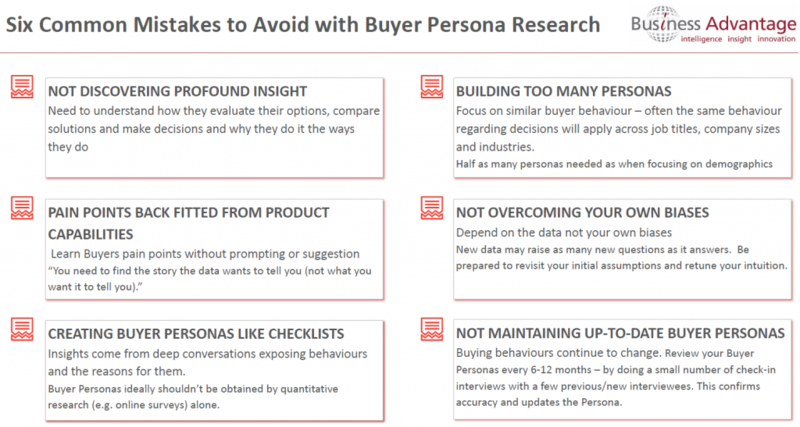 That completes this 7 post series on Buyer Personas and we hope you find it useful. If all this guidance and advice is overwhelming please talk to us about some Consultancy to help you figure out your best Buyer Persona research approach. Good luck creating and using your Buyer, or other, Personas and please see this AUTODESK® CASE STUDY on how they created and successfully used Buyer Personas (Autodesk® is a leading software supplier for the CAD, CAM, CAE, PLM, PDM and many other markets).